The newest Over-The-Top streaming TV service is brought to you by one of the co-founders of Facebook, Andrew McCollum, and it’s called Philo. Philo launched on 11/14/2017. It’s a streaming service backed by cable TV content providers, and it’s a low-cost, sports-free live TV service priced at just $16 per month. At a more affordable price, Philo hopes to be a serious contender with live TV streaming rivals, like Sling TV, DirecTV Now, PlayStation Vue, Hulu With Live TV, and YouTube TV. Philo is keeping costs down by focusing on a skinny bundle of programming with 40 channels, and the option to add more channels for only $4. Philo shows programming from 57 cable TV networks and makes them available for streaming through your phone, laptop or connected TV. Based on the channel selection, the focus is on entertainment, lifestyle and educational content, with no available sports. What Can You Watch On Philo? Why Doesn’t Philo TV Include Sports? The choice to exclude sports was made for financial reasons rather than a disgust for sports. TV providers pay a fee to distribute to networks. Live sports are very valuable and sought-after content. If a platform wants the rights to show sports they must be willing to pay a high price because the cost to carry sports goes up every year. Sport may be the main reason that cable TV still exists since many streaming platforms do not provide live sports. Although the quality of original content (this includes shows, movies, and comedy specials) is amazingly high, a massive part of the population loves to watch sports. Shows like Stranger Things and The Handmaid’s Tale are just as relevant as shows like Better Call Saul and The Walking Dead. But for many people, high-level original content just can’t compete with sports. According to Barclay’s Capital, sports programming creates $30 billion a year in profits for TV companies. Big games grab the highest ratings. For example, the final game of the 2017 World Series attracted 40 million viewers. Sports fans tend to watch sports programs live which means that they can’t fast-forwarding through the ads. Therefore, advertising during big game comes with a big price-tag. The leagues are very aware of this fact and they show their awareness by raising the distribution prices every year. The rise in rates is passed on to the customer in your cable bill every month. Philo is aware that people can’t get enough sports and is counting on people finding other ways to view them. For example, ESPN has a streaming service available. Also, sports fans can watch games the old-fashioned way, using an over-the-air antenna. Digital antennas deliver a high-quality picture and access to local news and sports. There is a chance that people will subscribe because they simply are not interested in sports and don’t want to pay distribution fees for something that they are not watching. It’s possible. 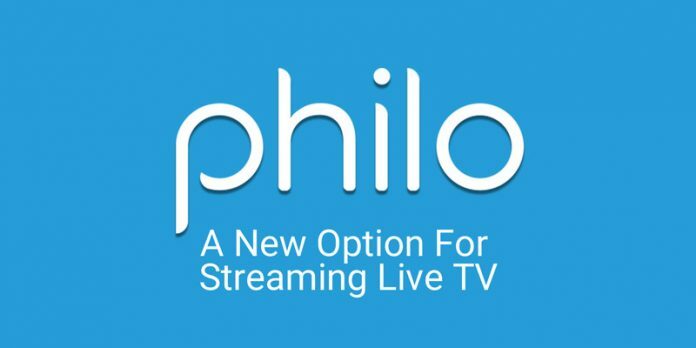 How Can You Stream Philo TV? What Sets Philo TV Apart? Other platforms have toyed with the idea of “Social TV” but as of now, nobody has been able to make it work. This is the current situation, but if there is any who can make it work it’s the co-founder of Facebook, Andrew McCollum. Your friends and word-of-mouth are probably the most influential factor when it comes to choosing what shows to watch. If a friend offers a recommendation it carries more weight than a show recommended by the Hulu algorithm. For this reason, a future version of Philo will likely include an integrated social platform that will allow viewers to share their favorite shows with friends. It will also allow friends and family to watch shows together. This type of feature could appeal to a younger demographic who already spend a considerable amount of time online, and watch TV on devices like phones and tablets rather than on a television. Philo had its beginnings as a web TV service for college students so it’s safe to assume that the company has their sights set on a younger consumer base. Philo TV does things a bit differently for their free trial. To start, you enter your mobile number which will get you the first 48 hours of the trial. Once you have started the trial, you will need to enter your billing information to unlock an additional 5 days. It is a great way to get started, especially if you are worried about giving out your credit card information until you are ready to subscribe.